We're Moving Our TOGETHER Blog to Medium! If you wonder why you haven't seen new Cool Ideas and other articles, it's because we're moving our Together blog to Medium. Please bookmark our new address (https://medium.com/@GensUnited) and follow us! This week's cool idea is the Ohio Education Association-Retired Intergenerational Program that engages retired educators as mentors to children and training teachers. Association-Retired (OEA-R) and the Ohio Student Education Association (OSEA) with the full support and cooperation of the Ohio Education Association (OEA), the National Education Association (NEA), and NEA-Retired. This poignant story by Fredrik Backman often defies reality in the pursuit of celebrating the diversity of human experiences. Elsa, an extraordinary seven-year-old, is something of an outsider among her peers; and Granny, an eccentric 77-year-old, is her best friend and superhero. Granny tells Elsa nightly bedtime fairytales about the Land of Almost-Awake and its legendary six kingdoms in a wardrobe that seems to grow with Elsa inside of Granny’s apartment. 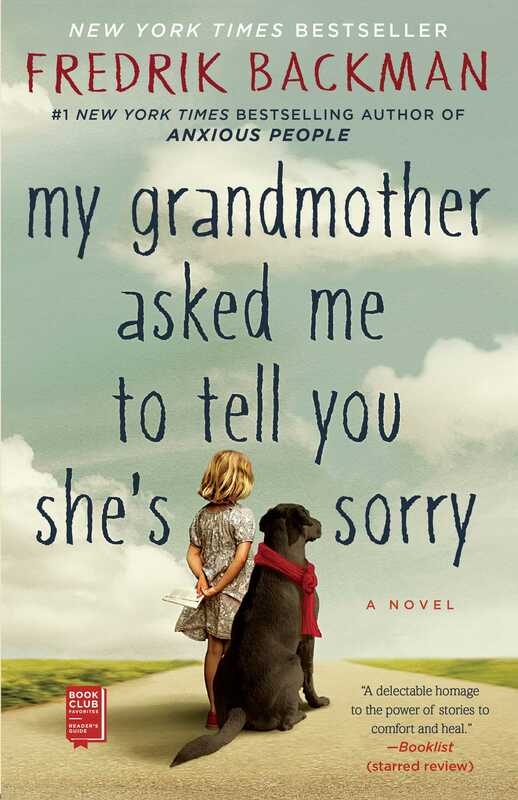 But when Granny loses her battle with cancer, Elsa is tasked with the adventure of a lifetime to deliver apology letters from Granny to others from throughout her life. Gradually, Elsa meets many new friends in her apartment building with characteristics and histories that mirror the stories she has heard from the Land of Almost-Awake. Meet Alf, a cantankerous cab driver; Britt-Marie, the fussy leader of the “leaseholder’s association;” the Monster, a soft-hearted germaphobe; and a wurse, a bizarre creature that loves chocolate. Those are just a few of the acquaintances Elsa befriends. Not only do these new friends help Elsa fill the hollowness of Granny’s death, but they become important allies when their apartment building is threatened by an enemy likened to a fearsome dragon in the Land of Almost-Awake. Backman’s words are whimsical and charismatic, highlighting the complexity of our greatest social concerns today - bullying, domestic violence, feminism, mental illness, grief, loss and more. The intersection of Granny’s past and Elsa’s present through the fairytales will captivate and enchant you - reminding us of the need for empathy in understanding others' experiences of others, while showing the limitless power of the grandmother-grandchild relationship. Backman’s quirky writing style might take some adjusting too, but I enjoyed experiencing life through the eyes of a 7- going on 8-year-old, though the fairytales are also meant for adults. As we grow up and life becomes complicated, we think we have to let go of our heroes from childhood stories. Backman pushes back against these ideas, proposing that perhaps life does not have to be this way. Elsa and Granny’s story is one example of how generations connect through stories. How has intergenerational storytelling influenced your life or your family? 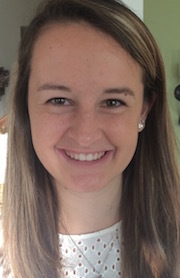 Taylor is an MSW/MPH candidate at the George Warren Brown School of Social Work at Washington University in St. Louis. She is also a Master’s Research Fellow in Aging with the Friedman Center for Aging at Washington University’s Institute for Public Health. This week's cool idea is Six Winners, a social empowerment component of the NYC Health + Hospitals/Harlem. 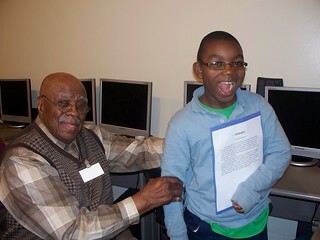 The program pairs older adult mentors with African American and Latino males ages 13 to 24. Trained mentors teach young men specific skills to help them develop personal goals and enhance their self-sufficiency by working with them on strategies to achieve those goals. The program includes counseling, social skills development, preparation for the workplace, and understanding of fatherhood responsibilities. This week's cool idea is MentorCHIP in New York, which offers site-based mentoring to children and youth through older adult volunteers at partnering organizations. Through an academic and asset-building focus, mentors help build the confidence and resilience of children ages 6–16 whose parents are incarcerated. The program’s goal is to significantly improve the cognitive, social, and lifelong learning of children who are affected by incarceration.